Although the market for 3D printers may not have been as lucrative as first appeared, it’s still growing. But for how long? A new report from analyst Context shows the massive impact crowdfunding sites like Kickstarter and Indiegogo are continuing to have on the sector, with many start-ups generating millions of pounds for their new and unique 3D printers. Retailers have remained coy over the sales of the devices in stores, but there is clearly demand for 3D print as the sector finds its feet. 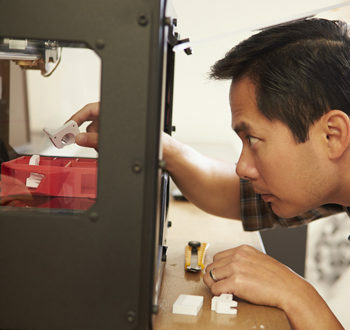 The number of desktop/personal 3D printers shipped worldwide in Q2 2015 was 25 per cent more than in Q2 2014. While this seems strong, over the previous four quarters, unit shipments had risen by over 90 per cent year-on-year, meaning Q2 2015 marked the first ever sequential decline in unit shipments in this category. However, there is continuing market demand for such devices, demonstrated by the largest crowdfunded unit volume sales seen to date for the desktop/personal printer segment. In this quarter, TIKO successfully raised almost $3 million against over 16,000 units of its low-priced $179 delta-style 3D printer. These are scheduled to ship later this year and into 2016, suggesting that there are further share shifts on the horizon. Other successfully funded crowdsourcing initiatives set for shipment in 2015 include BoXYZ’s $1,399 printer, which received over $1.1 million in funding for 430-plus printers, and the FLUX all-in-one $499 printer which raised over $1.6 million for over 2,300 units. "While many Kickstarter efforts are notoriously late to deliver, these pre-orders are still a good indicator of strong demand," Context said in a statement. As in the previous quarter, much of the growth in the desktop/personal sector came by way of new players rather than from familiar brands. Market shares therefore continue to shift significantly from quarter to quarter, although Taiwan’s XYZPrinting has been the most resilient recently and has now regained the global number one position. China’s Shining3D is the latest to show strong quarterly performance, with a large one-time shipment for Autodesk Asia PTE moving them from sixteenth in Q1 2015 to second globally in Q2 2015. 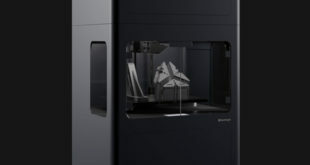 High-profile market stalwarts Stratasys (MakerBot) and 3D Systems (Cube/Cubify) receive the most industry attention, but both brands struggled in this period and neither was responsible for the recent increase in unit shipments of sub-$5,000 3D printers. While there was growth in the desktop/personal segment of the 3D printer market, the industrial/professional segment stalled, according to Context. Key indicators suggest that, in the short term, demand for desktop printers will continue to be strong while that in the industrial/professional sector is less quantifiable. Stratasys and 3D Systems are responsible for a significant portion of global unit sales and revenues in this segment, and both have again reported disappointing results in Q2 2015. "This slowing down is seen as a short-term phenomenon with many noting that demand still remains strong. Indications are that many end-users are awaiting the entrance of players such as HP which announced its Multi Jet Fusion technology in 2014, although the first shipments are not due to come from the soon-to-be-split company until 2016," said Context in a statement. "Additional reasons for the recent downturn are the “over-hyping” of the technology in recent years, followed by increased printer sales: the industry now needs to absorb this capacity before making further capital investments." On the overall outlook, Context added: "If these trends continue, then the desktop/personal segment is on track for a year-on-year unit growth rate of over 50 per cent for 2014/2015, while the industrial/professional segment may only see single digit growth rates. "It looks as if regional shipments will continue to be strongest in North America, especially in the desktop/personal segment. With an increased number of shipments scheduled for the AP region, some regional share-shift could occur in the near term, however. "Additionally, the EMEA region also looks poised for growth with announcements of new or expanded B2B and B2C distribution for from the likes of ABCData, Exertis, MediaWorld (Italy), Midwich, Pico and others." “The nascent market of desktop/personal 3D printers continues to change and evolve each quarter”, commented Chris Connery, VP for global research at Context.